We promote cooperation and trust between consumers and the organizations who manage their personal data. We believe that the organizations who manage personal data in a responsible and transparent way can win the respect and cooperation of their customers — which can help them gain a significant competitive advantage. Consumers have the right to demand their data from any service provider. But many are willing to share certain data with companies they trust. Companies need to comply when sharing data, or dealing with data requests. But cooperation with the customer could also help them gain valuable data in an ethical and transparent way. Interconnected solutions for sharing sensitive data simply, safely, securely. 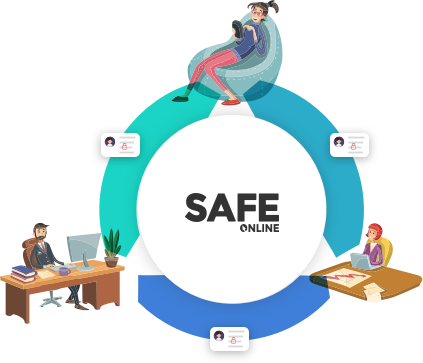 Safe Online provides tools to both organizations and consumers to handle personal data in a safe and responsible way. Collect and organize data from any source with IDLink's powerful API, and deliver it in a structured, machine-readable format. Simplify onboarding by providing your customers with a safe and easy-to-use interface for gathering data from current and former providers. Share sensitive data over email simply and safely with end-to-end encryption, consent management, and full audit log.